SHACKS SAFER THAN OUR HOUSES! PEOPLE in Tshepisong, near Kagiso in Mogale City, said although they have proper brick houses, they live in constant fear. This is because blasts from the nearby mines rock their houses all the time, cracking their walls and making bricks fall in. Many residents in the area have decided to move into shacks in their yards because they fear they will be crushed. On Thursday, the gatvol residents marched to Harmony Doornkop Mine to demand that the mine fixes their RDP houses. The residents said the mine was making a lot of money but did nothing to uplift the community. “We want the mine to empower our youth and adopt local schools. They must also employ local people. 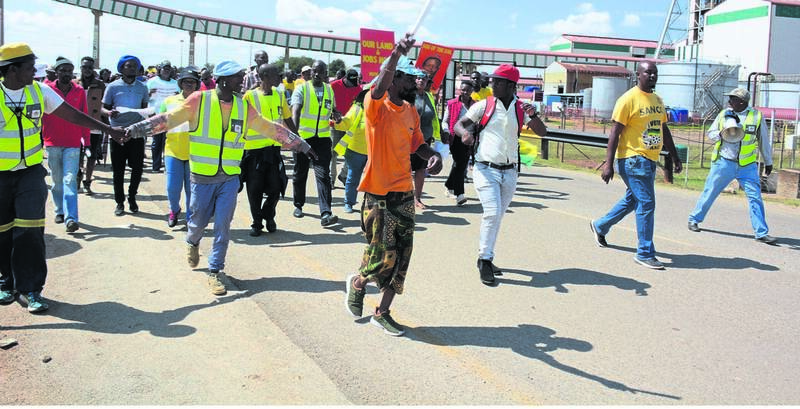 Sabelo Mgojwa, the mine’s relations manager, said they would soon respond to residents’ grievances.